Access general settings: Go to Left Side menu → Points → Social Shares. Drag and drop the social media name to re-arrangement display way. Enter number of social networks and other enabled sharing social networks will be displayed after user click on PLUS icon. Also in case toggle enabled thats mean all social networks will be enabled. Use check boxes to define which post type or page share action will apply on. Select display social sharing from 3 options [before the content, after the content, before and after the content]. 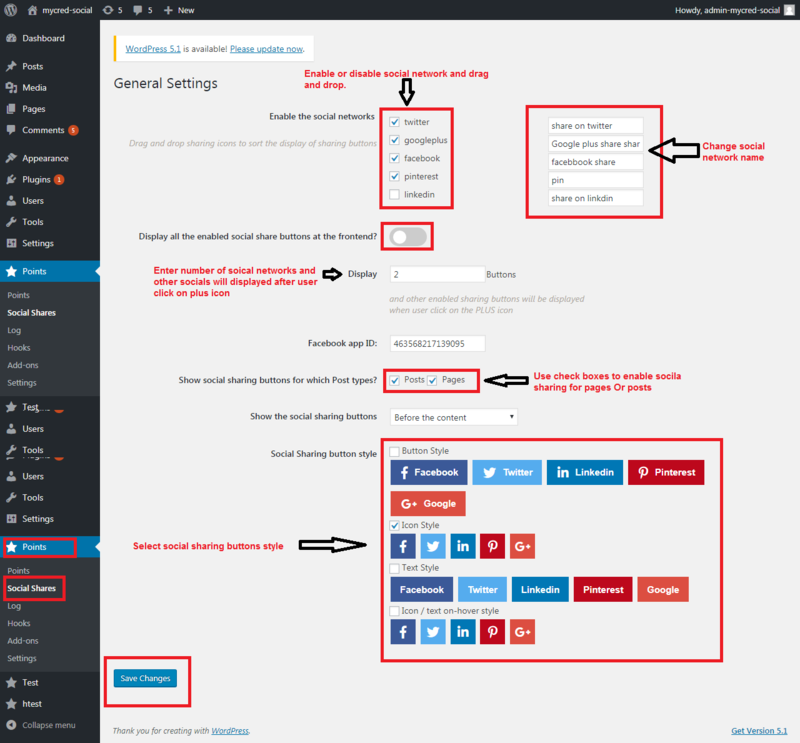 Select social sharing button style from 4 options [button style, icon style, text style and icon and text on hover style].